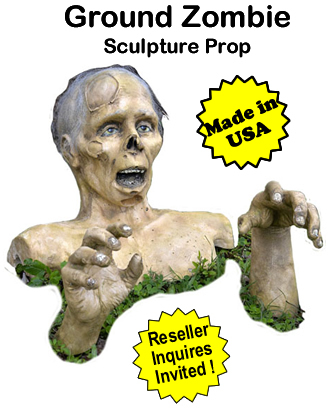 Ground Zombie Sculpture Prop - Dino Rentos Studios, INC. 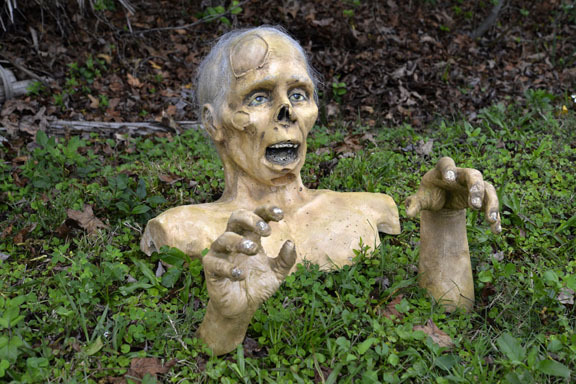 Turn your front lawn or any space into an instant graveyard with our Ground Zombie Sculpture Prop! 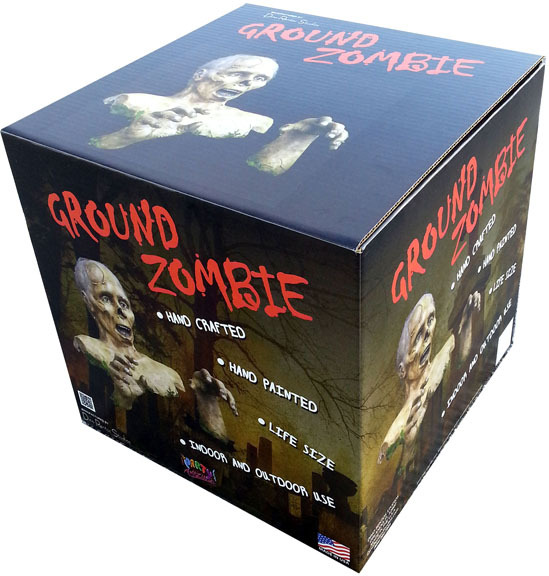 Appearing to burst through the ground, our Ground Zombie will certainly add afterLIFE to any event or occasion! Scare your family or friends or simply creep out your next office Halloween party with this fun and attention-getting prop. Ground Zombie is hand crafted, hand painted and is made for indoor and outdoor use. He comes packaged in his own retail packaging ready for placement with UPC. Ground Zombie's hands each measure appx 10" from ground. His head extends appx 12" from ground. RESELLERS WELCOME! MADE IN THE USA!